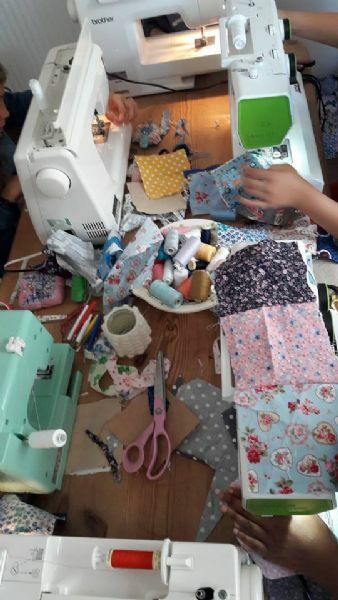 The perfect kitchen table party - we will bring our sewing machines, fabric, scissors, pins and enthusiasm to turn your kitchen into a pop up sewing studio. No need to worry about party bags, your guests have the perfect going home gift - either a fabulous patchwork cushion or a string of jaunty bunting that they have made themselves. We carefully lead them through using a sewing machine and amongst plenty of giggles and fun they choose their fabrics from our extensive stash then get busy making.